Sorry, you can’t sit this one out. You’ve been groomed to share what you’ve learned from these outer planetary forces. If you think you're a little shook up these days with life’s uncertainties and scary news on every broadcast, imagine how those poor folks in the middle of the bell curve of consciousness feel who may be clueless about a larger plan. PUNC types are often light workers, as in enlightenment. Our work is to tell people what we’re learning about: how to become whole (Chiron) and free (Uranus) through networking, sharing information, and breaking out of the bonds of the old ways that no longer work (going beyond Saturn); how to be compassionate/One (Neptune); while cleansing and transforming (Pluto) ourselves and the Earth to the core. The role of the PUNC or OPP is much like an adult who’s flying with a child. The flight attendants tell you to put on your oxygen mask first in case of emergency, then your child’s. Your life isn’t more important than the kid’s to save; you just have more experience with crisis and wherewithal in an emergency to deal with it. Save yourself first. Then you can save others. For me, the message of the outers has been dramatic: Get it or die, evolve or be destroyed. That sounds dismal at first like Luke Skywalker meeting the mega-Plutonian Emperor that Struck Back, but in retrospect, it actually has been an incredibly gratifying process to be forced to grow by these powers. After more than six decades on the planet, constant irritation by the PUNC planets has led me down a long path to a place where, now, I am finally beginning to reap the rewards of being astrologically unusual. This pain for gain feels somewhat akin to how oysters give birth to pearls. I hope that you will find some gems in these ideas. Perhaps they’ll provide comfort when we reread them during a phase when the more difficult aspects of the outerplanetary archetypes make tough demands on us, and we temporarily forget everything we know. The Best of the Outer Planets: What We Can Learn and Share About Them? Since Chiron, by its astronomical position, is a bridge between the inner and outer planets, let’s start on the Bridge—and come back to it later, in the concluding article in this series—full circle. As I share what I’ve learned from channeling the outer planets, I will focus on what I’ve found to be their most positive expression, while contrasting the pluses to the pitfalls, the pits being the part most of us know very well. 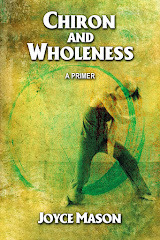 Many people stay stuck in the “wounded healer” dimension of the Chiron myth—as stuck as Chiron was by his wound itself. We forget that Chiron had a big job he continued to perform and take seriously, after and in spite of his lingering wound. Chiron was an astrologer who mentored countless heroes, among them Jason, Hercules, and Asclepius. His students included some of the strongest, most talented, and most altruistic human beings in Greek mythology. We can reasonably assume that Chiron knew how to accomplish the formidable task of turning his “young punks” into heroes (presumably most of them came to him as adolescents) by casting their charts and creating the equivalent of individual development plans. As a mentor, Chiron is known for his well-rounded education—everything from the martial arts and warrior training to the fine arts, including music. (He mesmerized others by playing the kithara, an early lyre that is the predecessor to the guitar.) In the gamut between the more Martian and Venusian pursuits, clearly encompassing the full range of what we consider yin and yang or masculine and feminine, the right “dose” of teaching had to match the talents and interests of each wound-be hero. The right blend of training was customized to round them out as individuals. Today, everything is urgent. Time is running out to heal our ecological crisis. The New American Heritage Dictionary defines mentor as a wise and trusted counselor or teacher. Our job is to bring out the best in people. Here are some examples of how to do it —and how not to do it. Positive Chiron: This person gives to the collective (helps others) despite his or her own pain. By being vulnerable and serving others despite “lingering wounds,” the Chironic individual demonstrates, by example, that healing comes first from acknowledging pain and offering up to the community both the suffering and the learning that comes from it. This is one meaning of Chiron’s offer in the myth to trade places with Prometheus, who represents Uranus or the collective. Without being egocentric or an emotional exhibitionist, the most positive expression of Chiron is to admit openly to being “a work in progress” and to help others on their own quest for self-fulfillment. They say the best teachers are just a few steps ahead of their students in their learning. 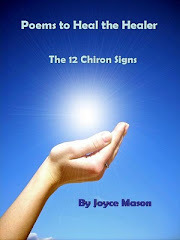 Positive Chiron represents the epitome of this nonhierarchical way of helping others. In her book, Chiron and the Healing Journey , Melanie Reinhart conveys the concept that a shaman is not a really a shaman unless the community accepts that s/he has gone to the underworld and survived. Unless a Chironic healer, the modern-day version of a tribal shaman archetype, can overtly convey to others having “been there,” he or she will not be well accepted in this role. This also has to be done in a way that doesn’t focus too much on the personal drama of the astrologer or healer, taking the spotlight off the client’s concerns. Chironic astrologers recognize this healing, process-oriented, eye-to-eye, mentoring style of helping others. Chironic astrologers realize that astrology is simply a head-trip unless intuition and practical application is part of their practice. 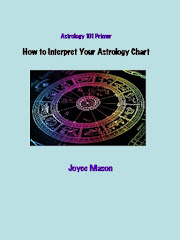 Chart reading is customized and in the moment with the real person behind the chart. The Chironic astrologer not only empowers but also offers tools and teachings, so that in any of life’s emergencies, the skills to handle them have been fostered. Finally, this breed of astrologer has little ego. S/he thinks of him/ herself more as a midwife than an authority (a position that slips so easily into know-it-all). This astrologer knows s/he’s as much a learner as a teacher in a privileged position—sharing another’s intimate struggles with being successfully human. By their very nature, astrology consultations give entrée to a tremendous amount of intimacy. The Chironic astrologer handles this emotional intimacy as gently as tenderly as his or her first time with a new lover. Perhaps better named, not just for political correctness but also for leaving a metaphysical opening for improvement, “evolving” Chiron stays stuck in woundedness and “woe is me” to the point of near nausea. Those around him start avoiding him—or they just don’t call her anymore. Synthesis: On balance, the greatest thing we can hope to achieve as astrologers is to give our clients a different perspective on their lives, a Chironic key phrase, and to help them learn how to express and clear feelings rather then suppress them, since the latter can lead to pain, illness, and disempowerment. Chiron teaches us to go on despite our pain, to keep working on healing it, and ultimately, to realize that a certain measure of pain goes with the territory of bringing our spirits into a body. To be human is to run the full gamut of experience that Chiron tapped when mentoring his students. We have to expect a little pain mixed in with pleasure here. It takes all the heroism and guts we can muster to deal with the emotional trauma of bringing our spirit into this dense dimension and living here, with all the ongoing challenges of our hybrid lives, carrying our soul in body. Imagine the loss of freedom (to float around, for one thing) and why freeing Prometheus Bound is a key part of the Chiron story. Chiron was relieved from his immortality and got to die and go back to pure spirit only after this altruistic act. The Chiron for Prometheus exchange implies that as long as we are here, we must serve humanity, for Prometheus/Uranus represents society, the collective or the tribe. This is the price we pay to come to a place where we can grow so fully. (If you can be spiritual on Earth, you can be spiritual anywhere.) We can learn to release pain—a glorious goal—but to eliminate it completely is incongruous with being human, which is to feel. Feeling badly is the appropriate reaction to many things that happen here on Earth, especially lately. When we can’t do something, when we are the most immobilized, we say, “I just don’t feel like it.” Doing it, whatever “it” is, doesn’t feel good. Often, the blockage is from old feelings never released that the current event activates—our Chironic wound. Unless we learn the technique of releasing emotions and emotional blockages, we are as stuck as Chiron was by that arrow and just as helpless, short of dying, to do anything about it. On the other hand, when we’re willing to let that helpless part of us die, to offer our pain and suffering to others for what we can all learn from it, the gods are impressed. We are released. 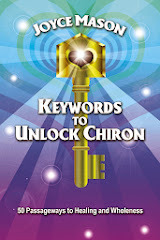 Then we get our first glimmer that the door Chiron’s skeleton key glyph opens is the home away from Home. Photo Credit: Cosmic Cool © PopArtDiva. Pop Art Diva is the graphic artist who created our amazing masthead on The Radical Virgo. Learn more about her services on Graphica Studios. 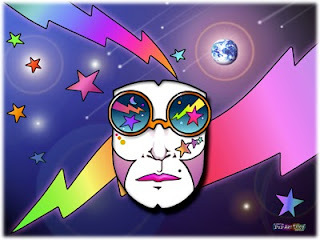 Visit her delightful blogs, starting with Pop Art Diva, where her all her other blogs are linked, including the popular The Martini Diva. This subtitle was subsequently updated to Transformative Bridge Between the Inner and Outer Planets in newer editions. [2 ] The Oklahoma City Bombing claimed 168 lives, including 19 children under the age of 6. Six hundred and eighty-six people were injured. O’Brien, Dale, The Myth of Chiron, audiotape, recorded at The Mountain Astrologer’s Planet Camp (1991), Contact: Dale O’Brien. Reinhart, Melanie, Chiron and the Healing Journey, Arkana (1989), p. 17. Fairfield, Gail, Choice Centered Astrology (Smithville, IN: Ramp Creek Press, 1990), p. 209. 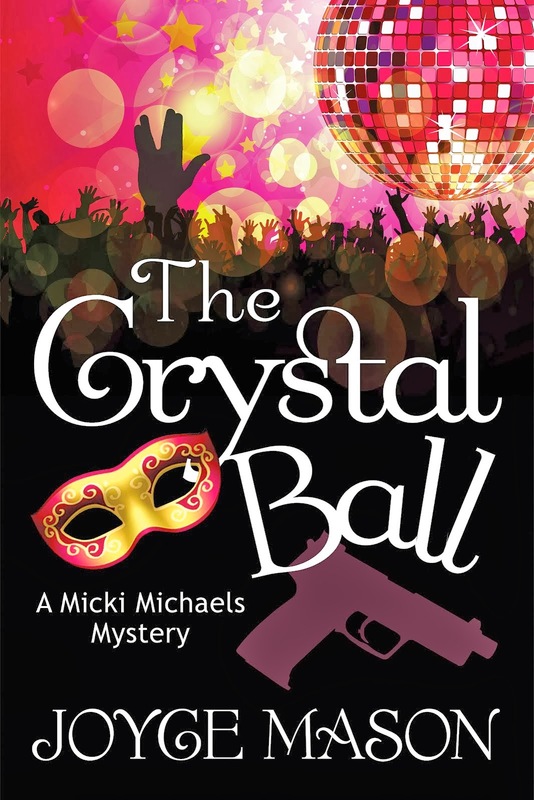 Joyce this is a great article. Its so nice to meet PUNC family! 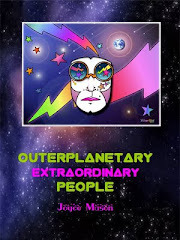 I think I remember years ago Erin Sullivan talking about this effect of people with strong contacts of the outer planets and sorta connected as to why I always felt different from everyone else around me, including my family. A Sun Scorpio conj Neptune, Moon Gemini square Chiron, Uranus & Pluto, Chiron conj Asc (12th house) and Pluto & Uranus opp Ascendant my life has been one of change, movement, chaos, depth, & catharsis. Wow, Lise, you've got complete outerplanetary credentials. Welcome to the Radical Virgo PUNC rock band! :) You've done a great job in your comment of capturing our usual sense of feeling different and finding the beat of our own drummer. How awesome that you found astrology so young! Glad you enjoyed PUNCs 1. Stay tuned. There are 4 more articles in the series, and they examine each of the PUNC planets. Thanks for your wonderful sharing and observations!